If you considered yourself (or are known as) a bookworm, there is excellent news for you. 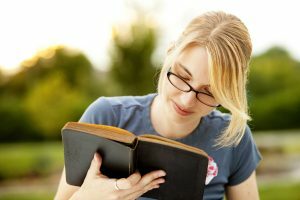 All that time spent perusing novels and short stories could be used to your advantage, and be not only a stress-reliever, but a serious money-maker as well. Many British workers spend their commute reading, and once back home they have ideas swirling about in their brains: you could very well say that they (and you, if you fit this description!) are beginning to have ideas for original stories. A considerable amount of people who are in the same predicament have opted to turn such ideas into actual works of fiction. Nowadays there are excellent apps where you could be jotting down your narrative, so you could even try to be a writer on the go. But what to do with your short story or your novella once you’re done with it? Sites such as Wattpad work as communities of users acting as copy editors or critics. The stories with the best reviews often end up being picked up by talent finders at reputable publishing houses. ; That’s exactly how authors such as Anna Todd or E. L. James (she of the 50 Shades of Grey saga) got their start into the world of bestsellers! If you don’t like the idea, a famed alternative is the Direct Publishing service by Amazon Kindle, which allows its users to upload their original stories on their specific platform. Direct publishing implies that there is a cut you would get for each copy of your book that is sold. This, in turn, means that you could end up with a sum of money thanks to what you read everyday and the ideas derived from your daily habit! Of course, the better your book, the more money you would get. And in these instances, the sky is literally the limit!